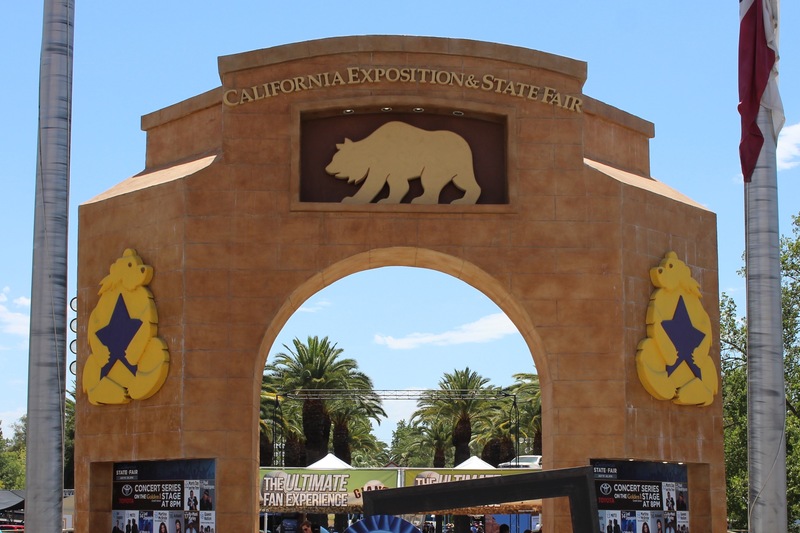 I love going to the California State Fair, that annual celebration of the Golden State with an emphasis on its agricultural industry. I’m not sure how many people outside our state realize that warm beaches are but a fraction of what we have to offer. Agriculture is an important part of our economy. In fact, if you live in the United States, you’ve probably eaten some produce from our state. The California Exposition & State Fair. I live in Sacramento County, where we’re lucky enough to have the State Fair in our backyard. 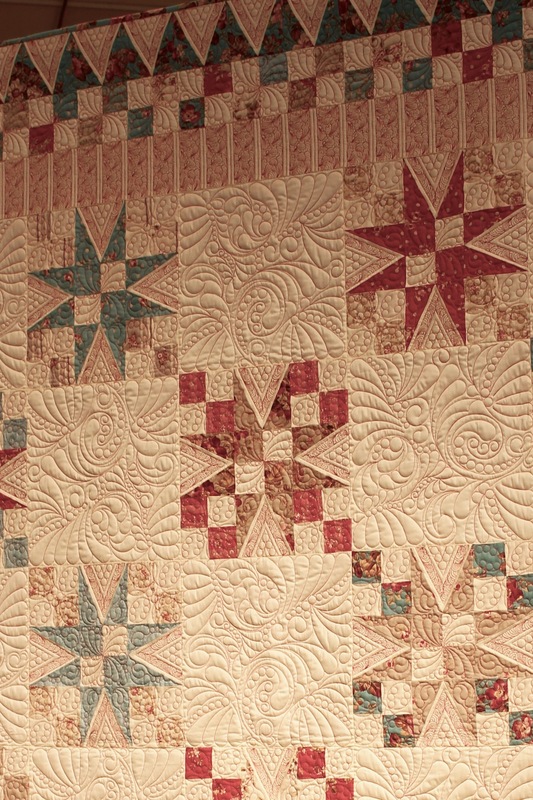 I go chiefly to see the award-winning sewing projects from people of all ages, but there’s plenty of other things to do as well. While the fair has a wide variety of attractions (concerts, carnival rides, weird stuff for sale), I prefer the old-fashioned features, such as the Counties Exhibit, which provides each county the opportunity to show its best attributes. 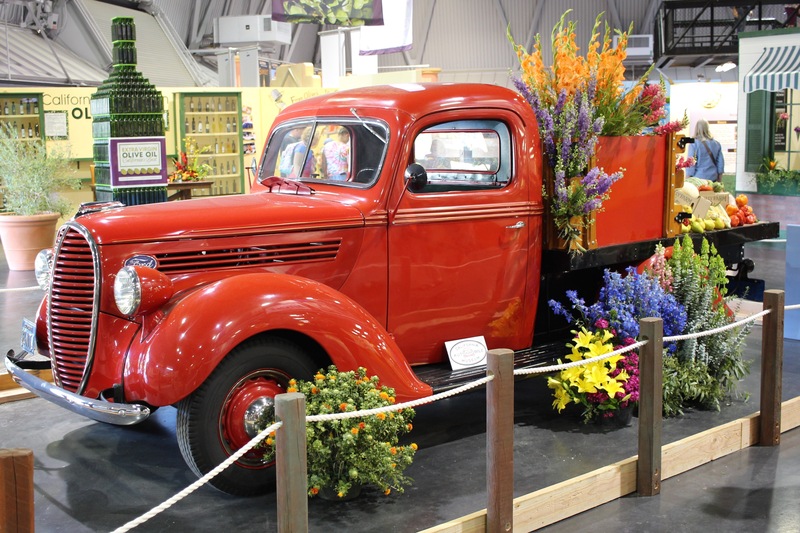 The agricultural abundance of the state is on view throughout the Counties Exhibits area. 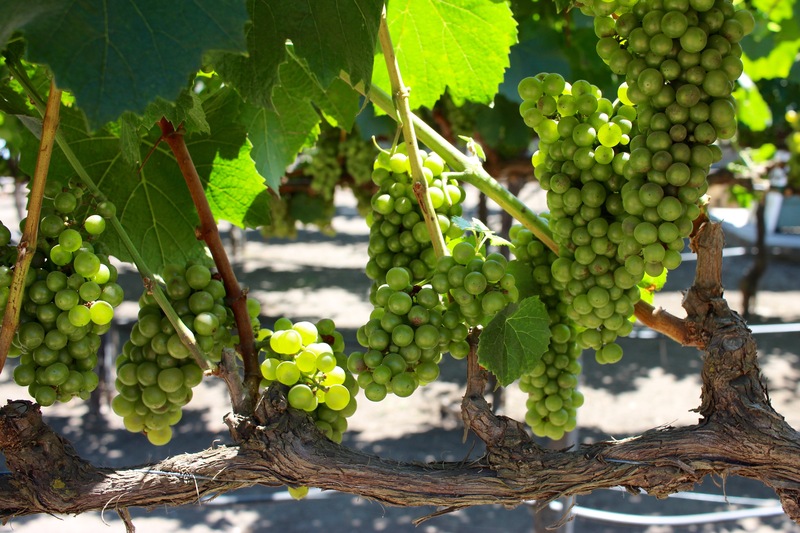 Sacramento County in particular brands itself as America’s Farm-to-Fork Capital. So much good food is grown in our region that frankly it’s a delicious place to live. We have a year-round farmer’s market in my town that has wonderful produce even in winter. 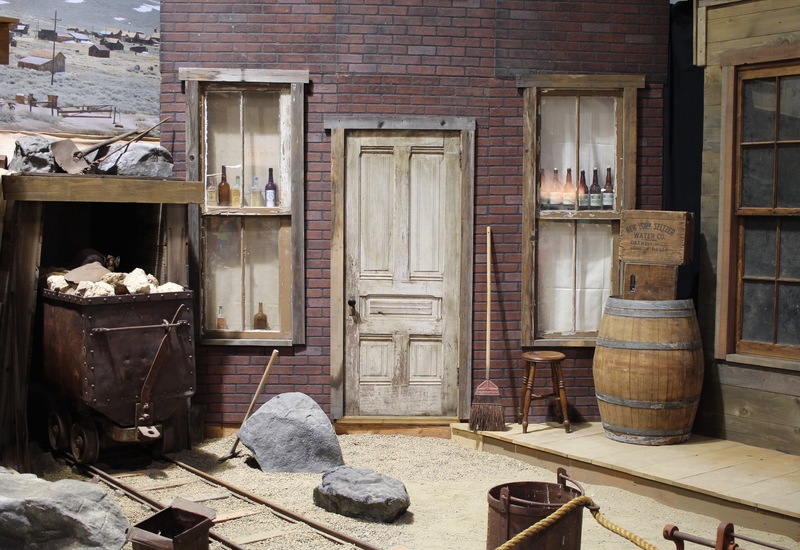 Mono County chose to focus its exhibit on Bodie State Historic Park. I’ve never been to this gold-mining ghost town, but this display makes me want to visit. On the way to the sewing exhibits, I came across some unusual characters that are another slice of life in California. 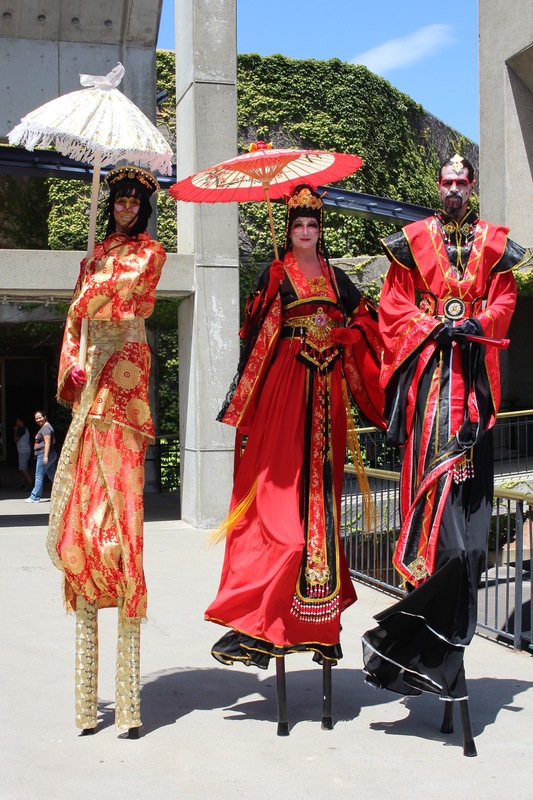 I’m not sure where these stilt walkers were heading, but they know to strike a pose when they see a camera. 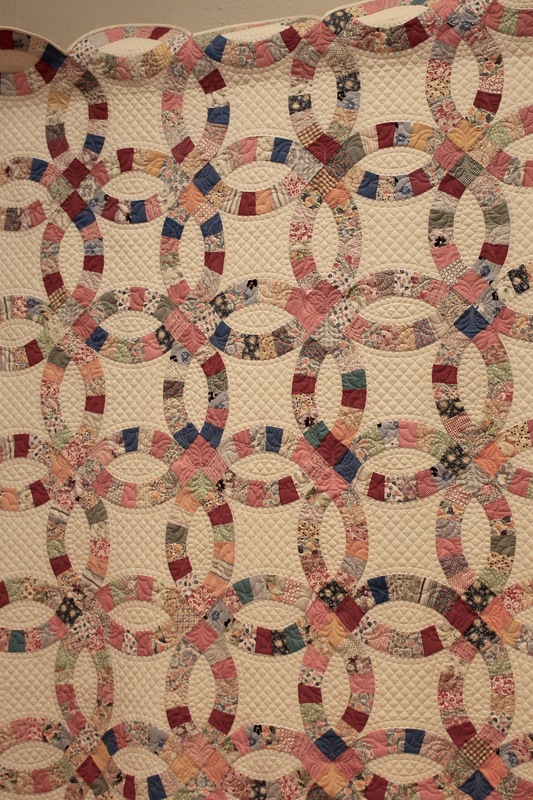 The geometry of double wedding ring quilts fascinates me. I believe this is “Grandma’s Endless Love” by Gina Heon. 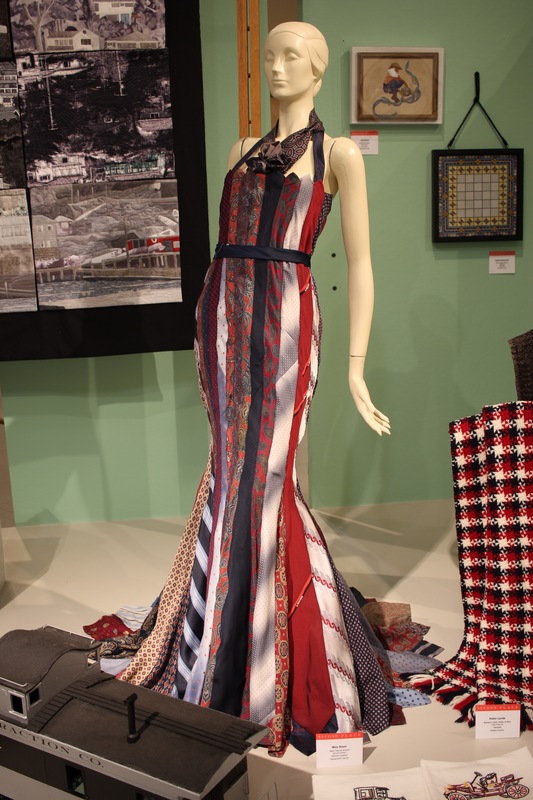 This upcycle fashion project is “Neck Ties All Around,” by Mary Boyer. 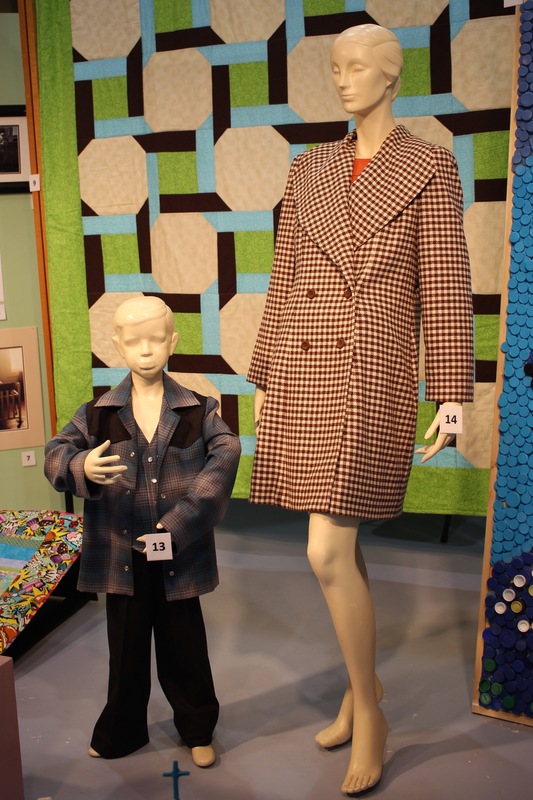 These impressive garments are by Dustin Geringer (10-12 age group, three-piece Western outfit) and Ashley Olson (16-18 age group, Wool Coat and Dress). 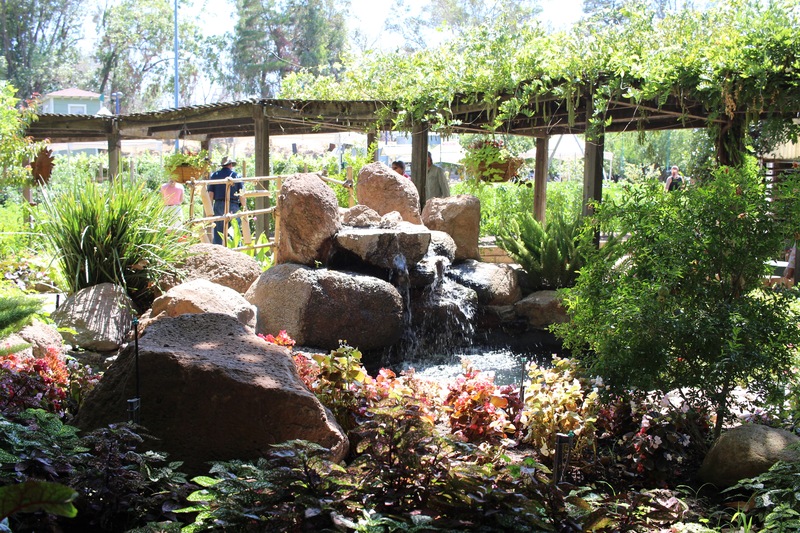 As part of showcasing the agriculture of California, the fair includes a three-acre farm area that this year also features drought-tolerant decorative plants and information on saving water. The farm area has some nice shady spots. California’s grape-growing industry is represented. 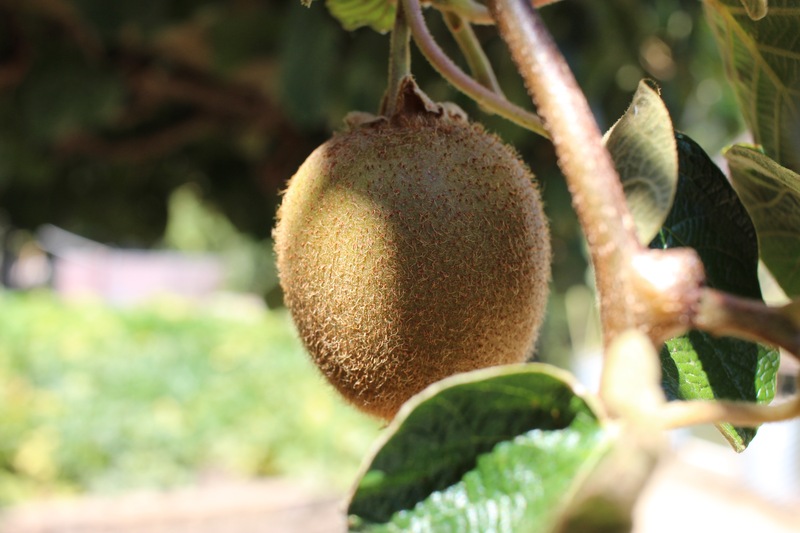 Apparently, kiwifruit are grown here as well. I had no idea. There’s always a booth at the farm where a blacksmith shows off his craft. 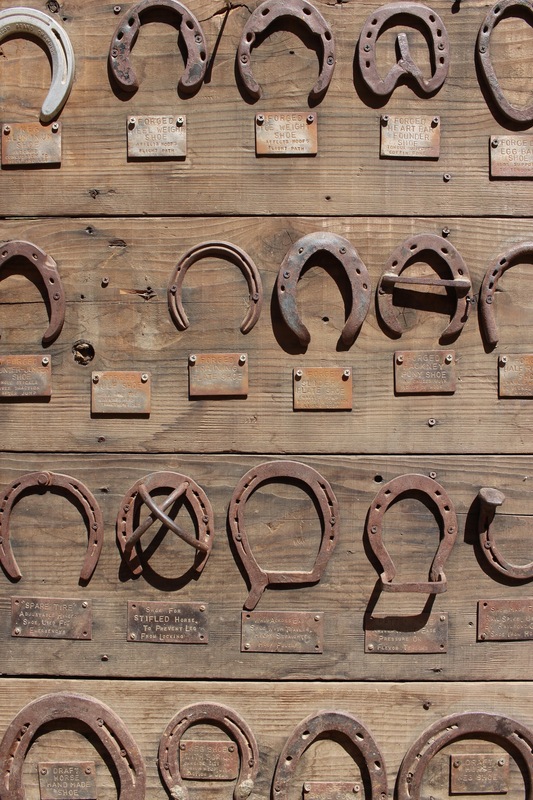 Here are sample horseshoes. The Old West is not quite extinct. It wouldn’t be a state fair without animals. 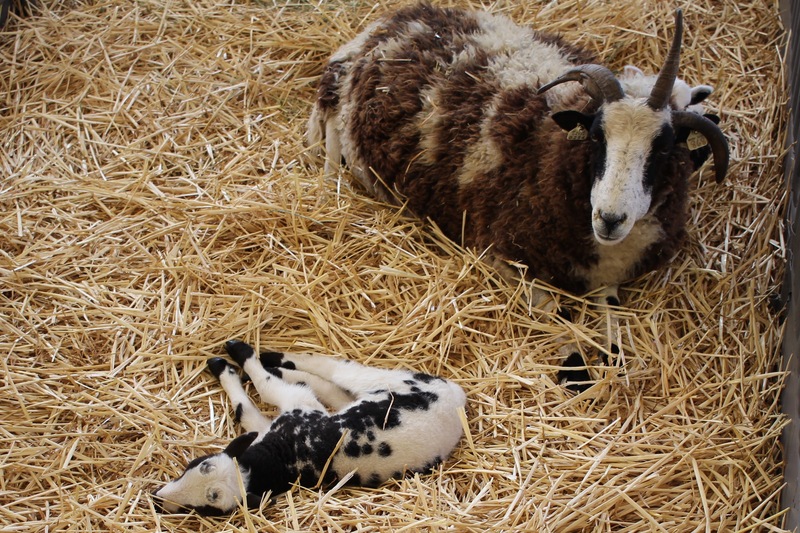 There has been controversy about having pregnant animals give birth at the fair (in the middle of a crowd is not the most comfortable place to deliver), but the fair has addresses some of the concerns and improved conditions. And you can’t go to the fair without eating fair food. And “fair food” really means fried food. There are healthful options, but really? You can eat a salad any day, but how often can you eat funnel cake? I have to admit that as I head toward my 50s, my fried food game is not what it once was. I couldn’t eat even half of that funnel cake. 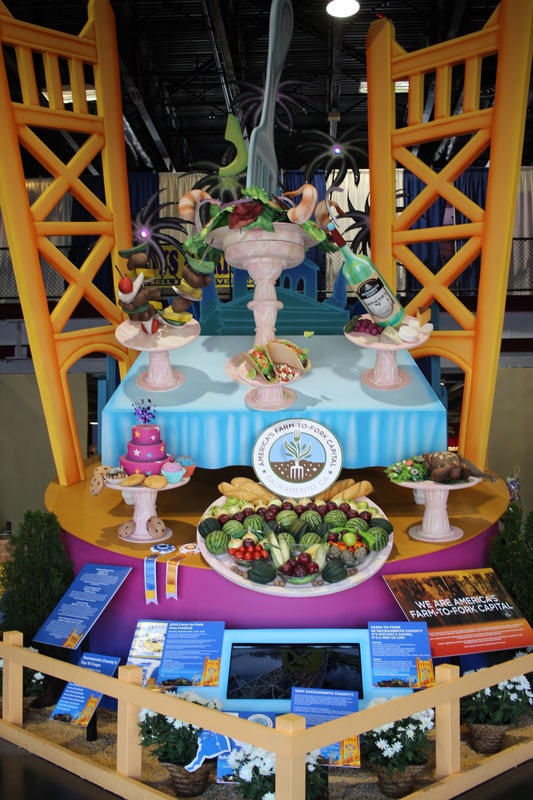 The California State Fair showcases much more of the state than can be shown here. There’s still time to attend. 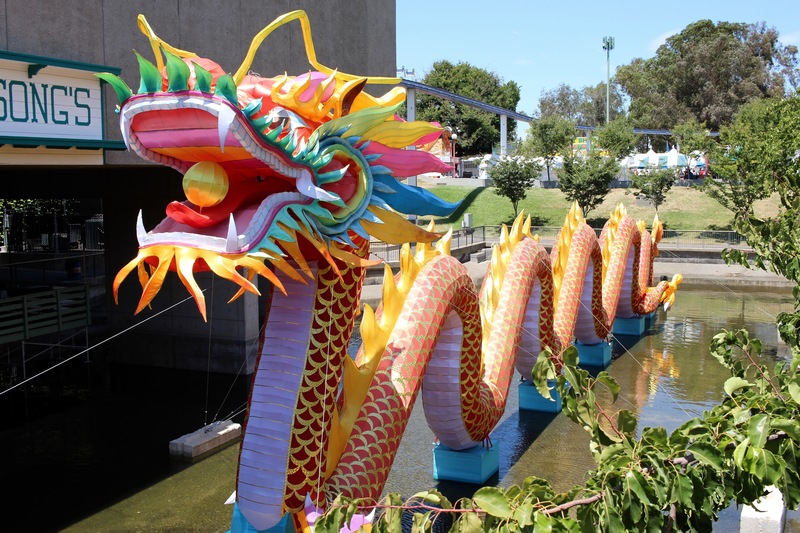 The 2015 fair runs through Sunday, July 26. More information is available at www.castatefair.org.